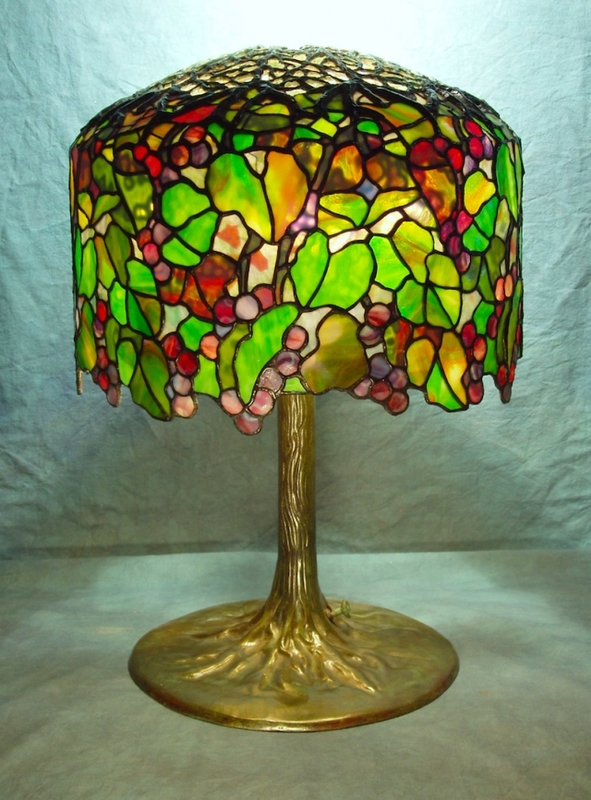 The 18″ Grape is one of several Tiffany Studios lamp designs that incorporate a heavy cast crown at the top of the shade that mates with the Tree Trunk base. This shade features red grapes cascading amid lush green foliage. 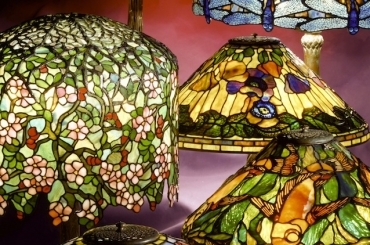 We created this shade over 25 years ago as a studio piece and it now resides in a local collection.